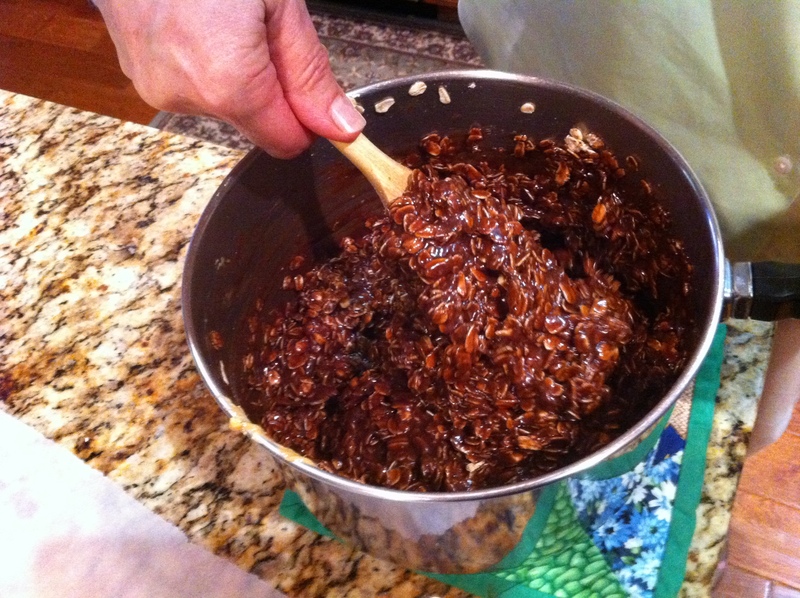 Even though I usually post my own recipes on Monday’s, today I’m breaking out one of my mom’s! My mother, Robin, got this recipe from her elementary school cafeteria back in the day. There are a lot of variations out there, but this version (made with GF oats, naturally) is gluten-free and over-the-top decadent. I love these cookies so much that my mom and I made tons and served them at my wedding! These cookies can take me back to childhood in a minute and never fail to perk my mood right up–unless, of course, I eat the entire batch at once and then feel sick. Don’t laugh, but that happens more often than I’d like to admit, which is why I don’t make them very much. I didn’t take many photos because this is a very time sensitive recipe that requires constant attention–sorry!–but here is the recipe. I hope you love them as much as I do! Place butter, milk, sugar, and cocoa in a tall saucepan over medium-high heat. Stir regularly until mixture comes to a boil. Once mixture begins to boil, stir constantly, making sure to scrape the bottom of the pan well as you do so, for 2 minutes and 15 seconds. Remove mixture from heat and add in vanilla, peanut butter, and oats one ingredient at a time, still stirring constantly. Once all ingredients are throughly combined, scoop a spoonful at a time out onto a sheet of parchment paper or tin foil. 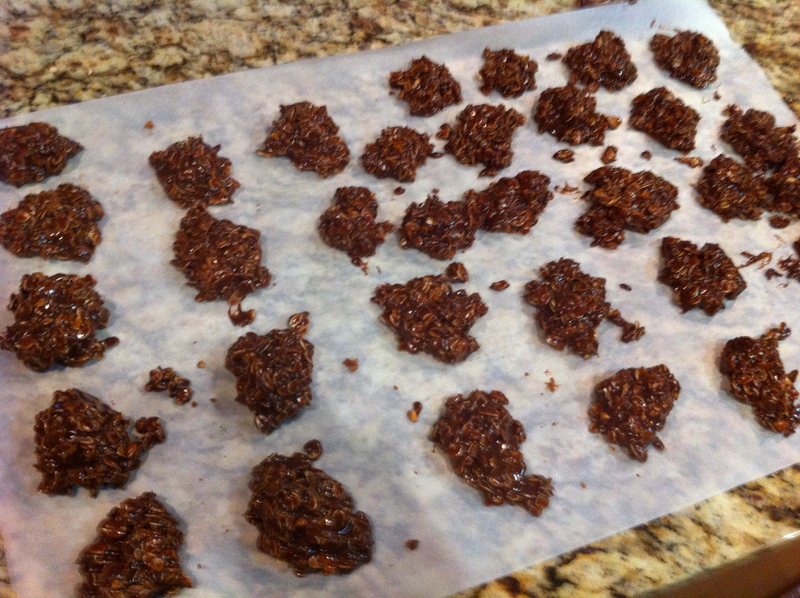 Allow the cookies to harden on the parchment paper (takes 5-10 minutes) and then enjoy with a tall glass of milk. 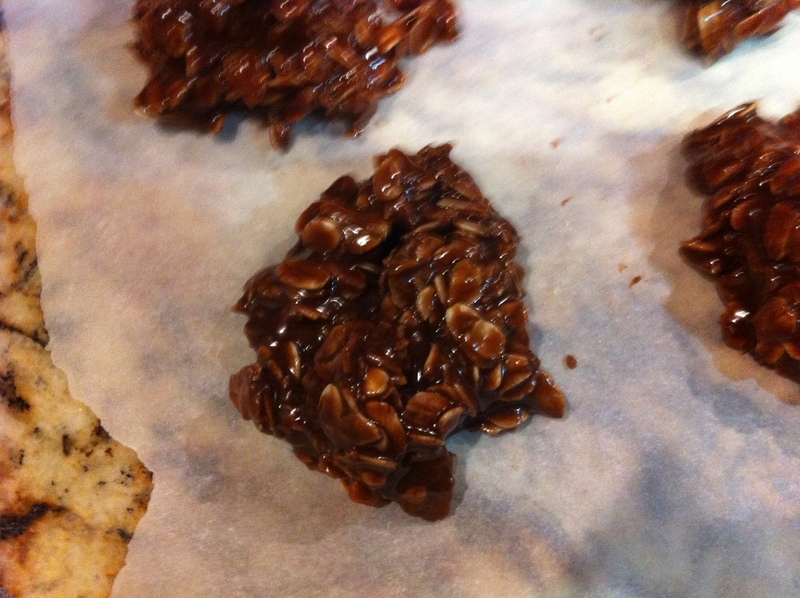 This entry was posted in celiac, dessert, gluten-free, recipes by mollykhodgin. Bookmark the permalink.